Blood of the Tribades is having a new release as Lesbos Vampyros via SoCalCinema's Malvolia's Movie Matinee! We'll be having our Los Angeles premiere at HAUS Film Festival on May 11th at the Downtown Independent in LA. 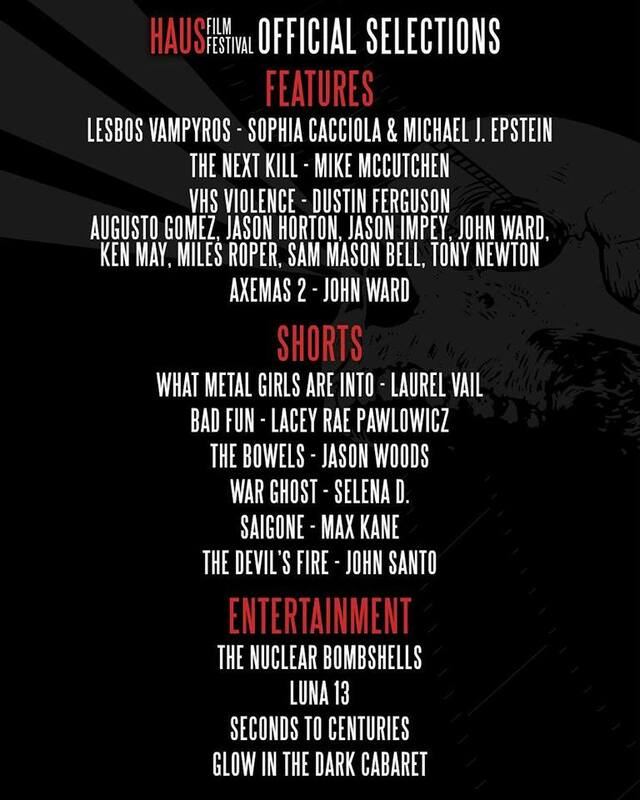 HAUS Festival is back, featuring Horror, Action, Underground, and Sci-Fi shorts and features! See LUNA 13 and more musical acts! Nuclear Bombshells Burlesque. Sideshow and Flow Arts! Mingle with filmmakers, fans, and freaks at our beer and wine party! Celebrate the films and put the “FESTIVE” in FESTIVAL! Tickets are on sale now!! Next PostSophia and Michael on Horror Talk with Kristin West premieres 4/19/19!